This is a great read whether you enjoy history or not. 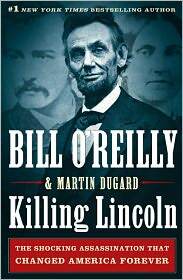 In Killing Lincoln, Bill O'Reilly has reconstructed the last two weeks of Lincoln's life. It reads much like fiction, and in fact, much like good fiction it's difficult to put down. We see the world of 1865 from several perspectives--Abraham Lincoln's, John Wilkes Booth's, Ulysses S. Grant's, Robert E. Lee's. It was an interesting way to put it together, and it was very well done. But I will tell you, it was difficult to read at times, because we all know how it ends--with the tragic death of one of America's greatest Presidents. Now there isn't much new here for the history aficionado, but for the armchair history buff, there is no question you'll learn a thing or two as you're enjoying this story. I wish more books were written like this one--history needs a vehicle in which to get out of the college classroom and into the mainstream again. It's shocking how little the average American knows today about their history. But if you read this, at least you'll know a little something about Abraham Lincoln, and the final days of the American Civil War. 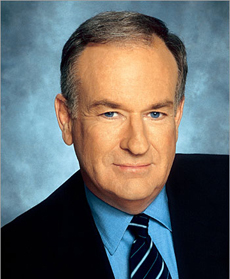 Bill O'Reilly is arguably the best known, most written about, and most discussed news personality on television. "The O'Reilly Factor" on the Fox News Channel is certainly the most watched by a wide margin, and is seen in more than thirty countries. He's also the best-selling author of several books.